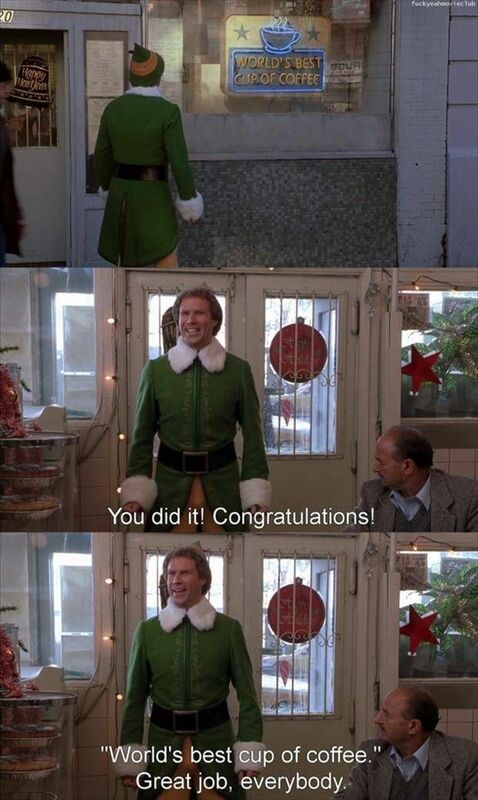 So I’ve graduated and now I’m back living with my parents, and I work full time Monday through Friday. My life now is a lot different then it was while I was going to school in Winona. During my days at Winona State life was a breeze, usually I would only have maybe three classes a day and Fridays were always optional (at least for me it was!). I would have time to see my best friends, and we could have Harry Potter or Lord of the Rings marathons whenever. Now after graduating and moving home I’m still adjusting, and I’m trying not to dwell in the past but its hard. I think about all of the memories I had with so many great people. I know college is over and now my real life has started. So in spite of this change I’m trying to create new memories and start actually doing the things I’ve always wanted to do. I’ve created a list of things I want to do, cause I feel like if I don’t write them down they won’t happen. 5. Visit Milwaukee and Madison- I have a college friend that lives there, and visiting her would be a blast. 6. Spring break trip with the girls- Last year we went to Cancun, and had a blast. I almost got taken away by the ocean the waves are crazy huge! 7. Vegas trip- I need to see Britney Spears or Shania live. 8. Lose weight and get in shape- Since begin home I’ve gained some weight and have been eating way more. 9. Have an amazing Halloween- I need to figure out what I’m going to do and what I’m going to be. Halloween is on a Friday after all! 10. Start blogging once a week- Writing is so important, and since college is over I need to keep up with it. This is just the start to the list, and week by week hopefully I’ll knock some these things off the list! Brokeback Mountain is film based on Annie Proulx’s story which was published in 1997, in the New Yorker. It tells the story of two ranch hands in Wyoming who fall into a twenty-year love affair after their summer in 1963, working together on Brokeback Mountain. Director Ang Lee’s Brokeback Mountain compliments Annie Proulx’s short story “Brokeback Mountain,” by staying true to the original work while adding certain scenes that reinforce the tone of the short story. The first paragraph of Proulx’s “Brokeback Mountain” opens the beginning of the story beautifully, and the readers really get a sense of the tone of the story. “They were raised on small, poor ranches in opposite corners of the state, Jack Twist in Lightning Flat…Ennis del Mar from around Sage…both high-school drop-out country boys with no prospects, brought up to hard work and privation, both rough-mannered, rough-spoken, inured to the stoic life.” From this quote, the readers are supposed to understand that both these men come from the same kind of place and they’ve had similar experiences. Ang Lee does a great job at translating this without having to rely on using voiceover. In the opening scene of Brokeback Mountain Ennis arrives to the work site by hitchhiking, and Jack arrives in beat-up rusty truck that looks like it could break down at any moment. Having the characters arrive like this is to show how they come from a similar social class. Ennis and Jack don’t officially introduce themselves to each other until after they talk to their boss, but Ang Lee shows the men both waiting outside the trailer for the boss to arrive. In this scene Jack arrives in his old beat-up truck, and gets out and glances at Ennis. Ennis then feels Jack’s eyes on him, and seems a little uneasy and not sure what to do (Wood, 31). Both characters in this scene are sizing each other up, when Jack looks away Ennis looks at him, and when Ennis looks away Jack looks at him. However, this doesn’t happen in the story, Jack and Ennis shake hands and meet before they go into the trailer. I like Ang Lee’s choice in adding the glances between Jack and Ennis, because it’s simple yet powerful. By adding the simple glances between the characters it shows the audience that the two men are curious about each other, and aren’t sure how to act. Brokeback Mountain helped to change the attitude of mainstream movie audiences towards homosexuality by “humanizing” gays and showing them as “real people” with “real feelings,” (Piontek, 124). In th e past homosexuality in film has not been represented in positive ways, often homosexual characters are cast as villains, comedy relief, or they are killed off. Gay love is forbidden love in Brokeback Mountain, Ennis knows the consequences if they’re love is found by society, which makes this relatable to audiences (Piontek, 126). The tension between Jack and Ennis’s love and their everyday lives makes it a believable story, because if they were actually going to be together they both would have been killed(Handley, 12). Brokeback Mountain is one of the highest grossing films in the Western genre and the highest grossing drama in the gay or lesbian category, and it also won three Academy Awards (Handley, 6). The success of the film represents a positive change in movie audiences. 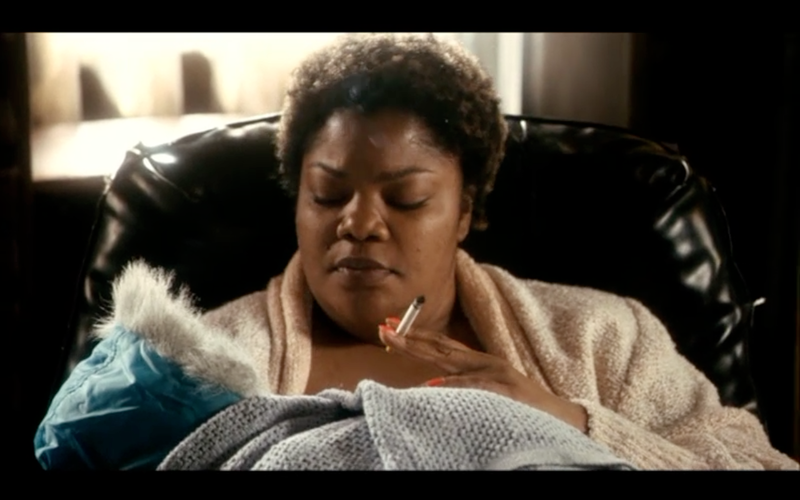 In the film and in the story social constructions are shown through patriarchal figures: Aguirre, Jack’s and Ennis’s fathers, and Lauren’s father (Campbell, 213). 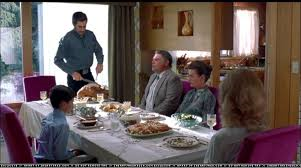 In one scene during Thanksgiving, Laureen’s father insists on carving the turkey and leaving the T.V. on to watch football. Laureen’s father than tries to assert his masculinity by saying “You want your son to grow up to be a man, don’t you daughter? (looks directly at Jack). Boys should watch football.” Both Jack and Ennis were raised by abusive fathers, and Ennis recalls how his father had taken him to see the mangled dead body of a neighbor that was beaten with a tire iron for living with another man. 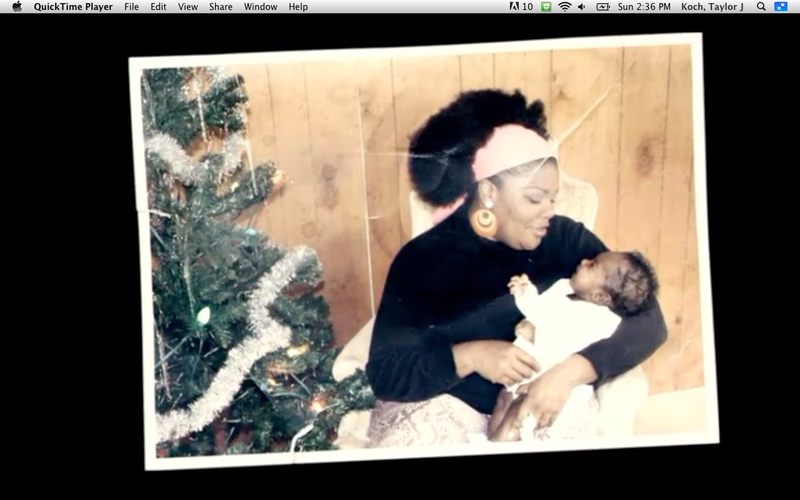 Ennis also mentions that isn’t sure who beat the man, and says “Dad made sure I seen it. Took me to see it. Me and K.E. Dad laughed about it. Hell, for all I know he done the job. If he was alive and was to put his head in that door right now you bet he’d go get his tire iron,” (Proulx, 9). Because of this scarring experience it hinders Ennis from having a life with Jack. Joe Aguirre is the boss Jack and Ennis work for during their summer on Brokeback Mountain, and almost immediately he is suspicious of the men. In the story Jack mentions how he tried to work on Brokeback the next summer. When Jack goes to Aguirre’s office to get his job back Aguirre says to Jack “Twist, you guys wasn’t gettin paid to leave dogs baby-sit the sheep while you stemmed the rose,”(Proulx, 8). “Stemmed the rose,” refers to Jack and Ennis’s relationship together, and Aguirre represents bigoted people in society. These are all lessons about patriarchal social order rooted in narrow-minded values (Campbell, 216). Brokeback Mountain is a film that doesn’t fit directly into any specific film genre or category. It has been considered a Western, Drama, Romance, or a Tragedy. Proulx’s story “Brokeback Mountain” also mixes multiple genres, and having director like Ang lee who has worked with different genres is a smart choice. Director Ang Lee is known for working on variety of other genres including the action film Hulk and an interracial gay comedy The Wedding Banquet. Neil Campbell has written about Lee and said, “Ang Lee’s oeuvre is often referred to as restless and electric ranging across genres and styles unwilling to settle into any Hollywood-invoked niche despite working for large studios, “(Campbell, 210). The film and story definitely fit into a tragedy. Jack and Ennis are doomed from the start, because they are gay in 1963, during a time when the majority of society considered it “unnatural,” (Nayar, 236). The two can never be together, because of their family lives and Ennis’s insecurities about people finding out the he is gay. In the story Ennis’s insecurities are more prevalent, “You and me can’t hardly be decent together if what happened back there”—he jerked his head in the direction of the apartment—“grabs on us like that. We do that in the wrong place we’ll be dead. There’s no reins on this one. It scares the piss out a me,” (Proulx, 8). Ennis knows the consequences if their relationship were to be found out, and almost predicts Jack’s death in a way. Jack would leave his family for Ennis, and has sexual encounters with other men. 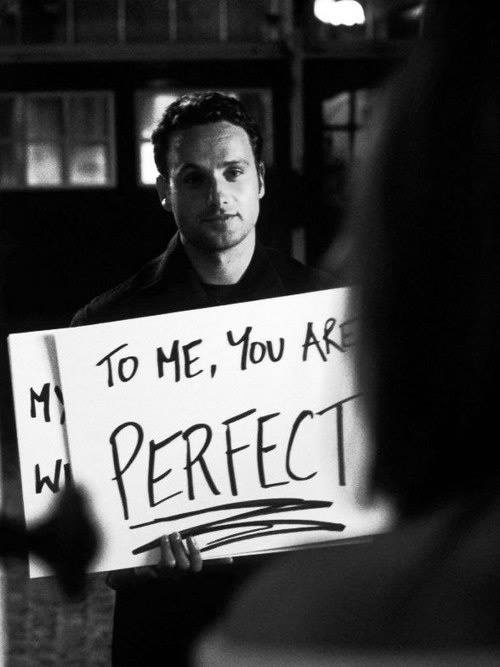 This ultimately, causes Jack to lose his life, because people in his town find out he’s had relations with men. Ennis is a character faced by the tragedy of desperately needing love, but not being able to commit. After Jack dies, Ennis connects his death to his past memory of seeing the gay man mangled by the tire iron. In a way Ennis might blame himself, because if he would have committed to Jack, then Jack wouldn’t have sought the arms of other men, (Nayar, 239). When watching the film and reading the story, “Brokeback Mountain” embodies the Western genre. 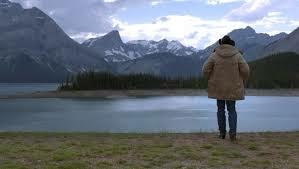 The beautiful western landscape is captured when Jack and Ennis first work on Brokeback, and in the future when they make romantic trips back Brokeback. Proulx captures the western landscape in her detailed descriptions, “Dawn came glassy-orange, stained from below by a gelatinous band of pale green. The sooty bulk of the mountain paled slowly until it was the same color as the smoke from Ennis’s breakfast fire. The cold air sweetened, banded pebbles and crumbs of soil cast sudden pencil-long shadows, and the rearing lodgepole pines below them massed in slabs of somber malachite,” (Proulx, 2). From this description Proulx describes not only the looks of the landscape but the atmosphere, and the readers capture this scene in a way that the film can’t. Other common Western tropes are seen, for insistence both the men are wearing cowboy hats and worn out clothes. The Rodeo is shown, and the men are often seen the bars and drinking plays a role in the film. Ang Lee’s soundtrack features lots of country and western songs by Merle Haggard and Tammy Wynette. Having a story based around gay cowboys, Brokeback Mountain replaces Indians as the enemy with ignorant society. Brokeback Mountain is film that is unlike many. It combines many different genres and themes that audiences can relate to. It shows the real struggle of two men trying to be together, but are unable because of society’s views. The film and story combines western genre tropes with a complex story of desire and tragedy. Director Ang Lee translates, Annie Proulx’s story more than effectively, and brings the story to life. 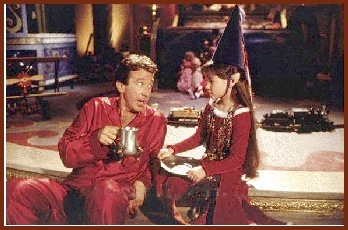 Overall, its film that can be analyzed in so many ways that this film will be mentioned a lot in film history. Campbell, Neil. “From Story To Film: Brokeback Mountain’S “In-Between” Spaces.” Canadian Review Of American Studies 39.2 (2009): 205-220. Academic Search Premier. Web. 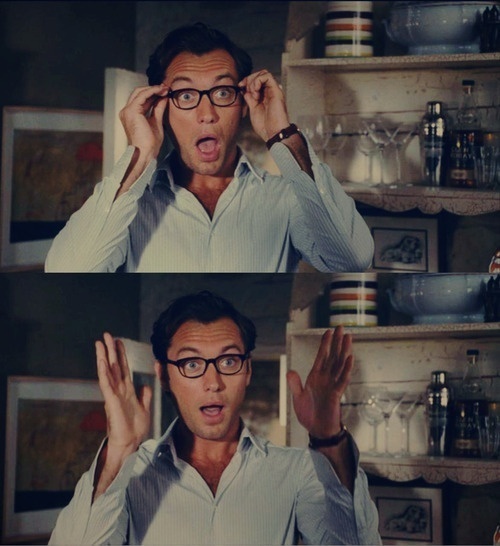 Handley, William. “The Brokeback Book from Story to Cultural Phenomenon.” Nebraska Press (PDF) http://www.nebraskapress.unl.edu/Supplements/excerpts/Spring%2011/9780803226647 _excerpt.pdf pg.1-20. Nayar, Sheila J. 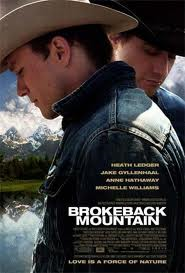 “A Good Man Is Impossible To Find: Brokeback Mountain As Heteronormative Tragedy.” Sexualities 14.2 (2011): 235-255. Academic Search Premier. Web. Freaks is a pre-code film, meaning that it didn’t have to follow the strict restrictions of the Motion Picture Production Code (Fallows). 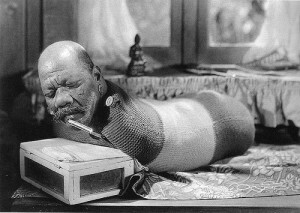 As mentioned earlier, Browning cast people with actual deformities, which caused lots of controversy. Browning is criticized for this choice, because many of the people who were cast as the “freaks” were unable to coherently give consent for their work. The presence of actual freaks caused lots of problems in the MGM studio, and as a result one of the films producers Harry Rapf, tried to stop production, but failed to do so. During production the majority of the cast was forced to eat outside, because the studio didn’t want to disturb too many people (Smith). 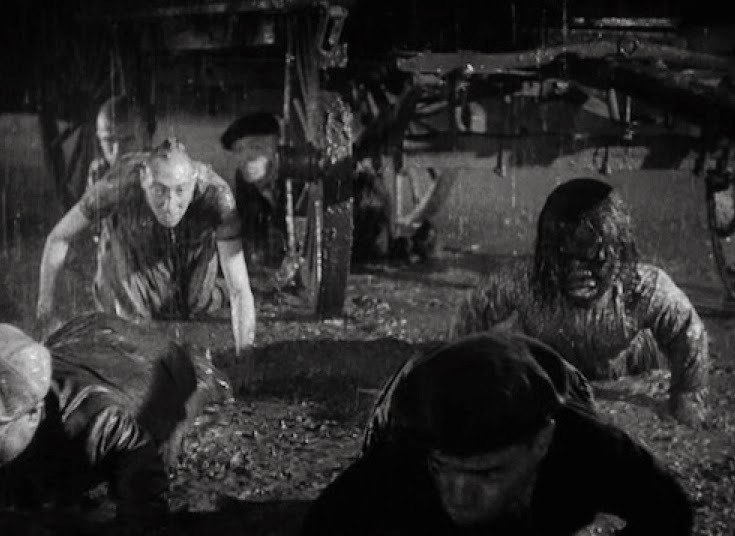 For the majority of the film, Browning does not exploit the “freaks,” but the end act can be seen as exploiting the “freaks.” In this scene the “freaks” take their revenge on the antagonist characters, the audience see’s the “freaks” crawling through the mud and rain carrying weapons preparing for their revenge. This could be considered as exploiting the “freaks,” because this scene depicts them almost as monsters and the tone of the scene is so dark. It wasn’t until 1962 at the Cannes Film Festival when the film was finally received positive acclaim. During this time the counter culture generation had embraced the term “freak,” and the film found new life making it the first cult film. 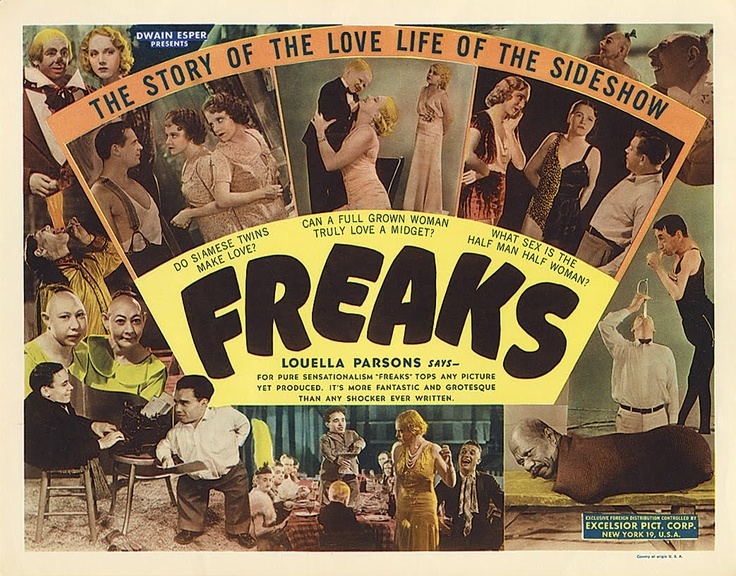 Most of the film portrays the “freaks” in a sympathetic manner, and while all the people in the story are circus performers, the film never shows performances from the “freaks.” Instead Browning shows the audience the “freaks” every day lives, and shows them doing typical things like eating, drinking, and other day to day activities. Browning also shows the “freaks” struggling with the same issues many people have, this is seen with the Siamese twins trying to balance their relationship and family. The real “freaks” of the film are actually the “normal” characters, and the audience never see’s the freaks do anything bad until the end of the film. Although the end scene where the “freaks” extract their revenge does exploit the “freaks,” the audience does see that Hans does end up feeling bad about what happened to Cleopatra and Hercules. 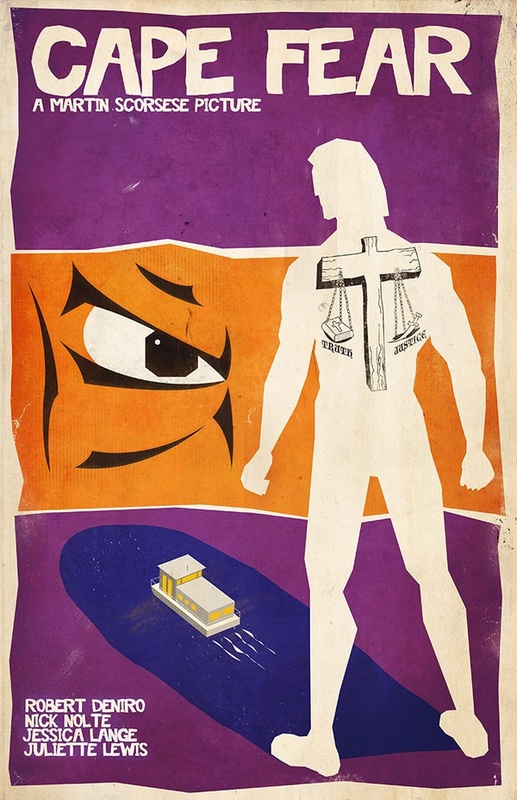 Overall, the controversy associated with this film is very interesting and depending on your beliefs it can be seen as exploitation or sympathetic in its portrayal. However, the message is the same in that outward beauty is only skin deep and treating people based on their appearance is a true atrocity. 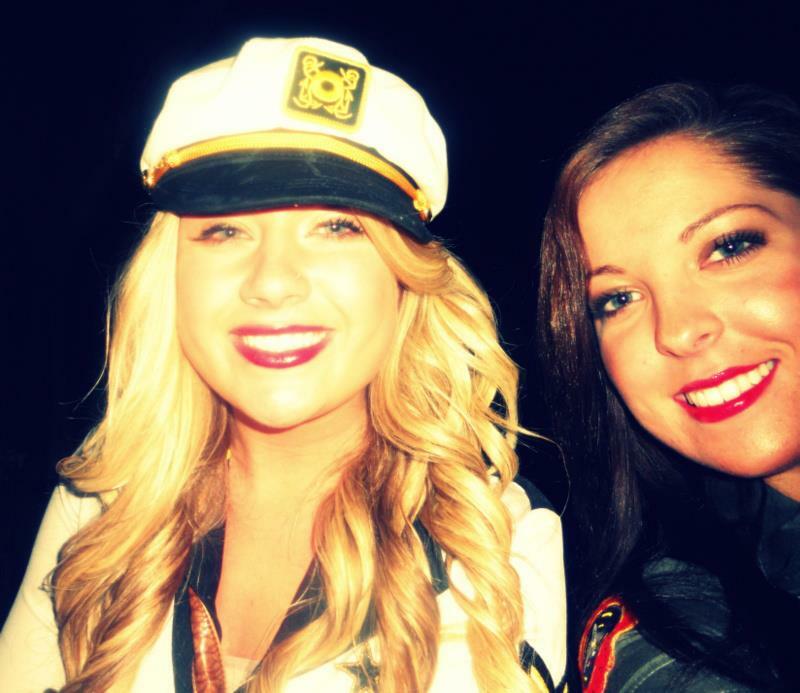 Halloween is finally here…well tomorrow anyway! In a previous blog post I wrote about some potential costume ideas, but I’m actually not going as any of those ideas! I’m kind of slacking this year, and I didn’t have time or money to buy a good costume. So this year I’m going as cop, because it’s really easy to make with things you already have for a costume. I went to Target yesterday to find a cop hat and I bought a cop hat that came with aviator sunglasses, a badge, and a baton thing for only $10. For the rest of my costume I’m going to wear a navy blue shirt, black shorts, and black boots. All those things I already have, so I’m glad I won’t have to spend any more money. 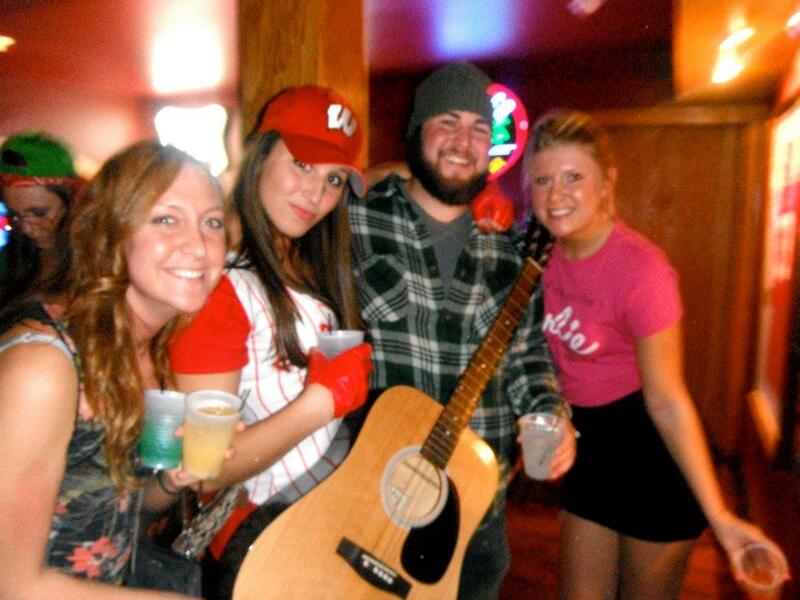 Hopefully people won’t be dressing up in Winona this weekend, because I don’t have any other costumes to wear. 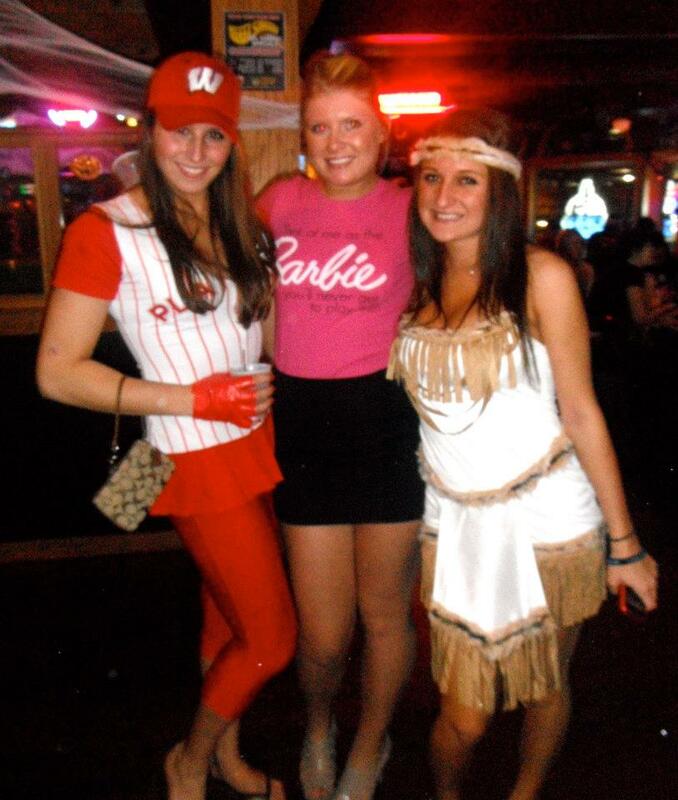 I also thought I would share some pictures of my Halloween costumes from previous years!